“A group of people that share a common objective can achieve great results. 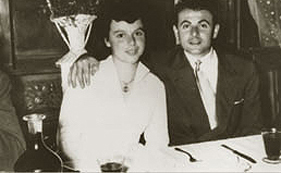 Raffaele and Giuseppe Salmaso came to Venice together in 1951. Separated from their families those were hard years of sacrifice for them that would become the foundation of a tradition preserved even today. 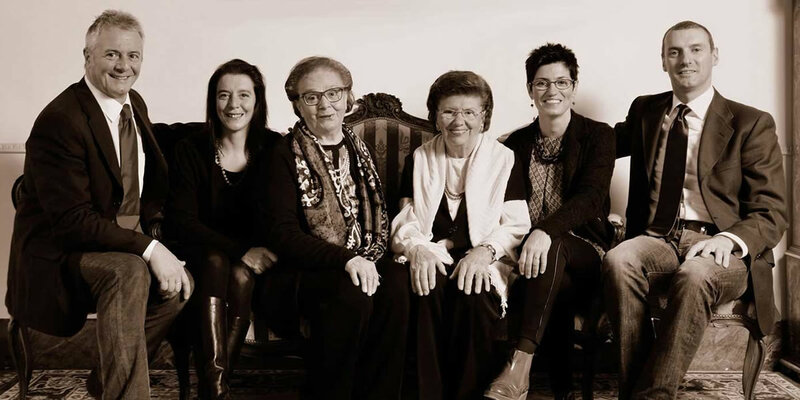 A few years later they were joined by their wives, Tosca and Savina. 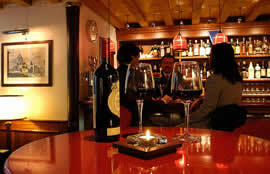 Together they transformed the small “locale” of “ombra and cicchetti” (wine bar with traditional Venetian snacks) into the renowned Ristorante da Raffaele known by Venetians and tourists alike. 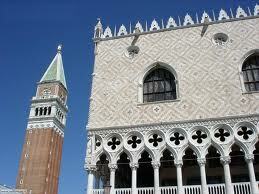 Thus Venice became their adopted city. 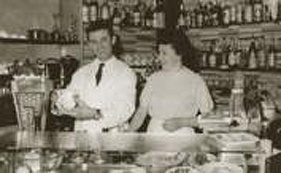 The passion they shared for welcoming guests into a place that had high quality in their personnel as well as in the food and drink they served was passed on to their children: Renato, Giovanna, Stefania and Andrea. 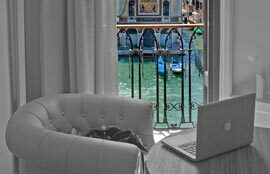 Today all of them run their own businesses in person: Hotel Ala, is centrally located; Locanda de la Spada, on the Grand Canal; Restaurant da Raffaele, overlooking a typical Venetian canal; and Pensione Accademia with its fascinating and suggestive surroundings. 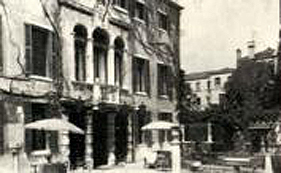 Pensione Accademia was born a patrician residence and transformed into a Russian Embassy at the end of the Venetian Republic; it became a hotel in 1948. 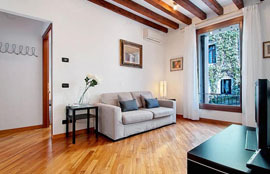 Over the years, the Salmaso family perceived the historical and artistic value of the structure and made it one of the most enchanting hotels in Venice. In 2018, given the importance of the structure from a cultural and historical point of view, the hotel has been recognized by the Association of Historical Places of Italy. Russian writer Josif Brodsky, Nobel Prize for Literature in 1987, was a frequent Guest of Pensione Accademia back in the ’70s. 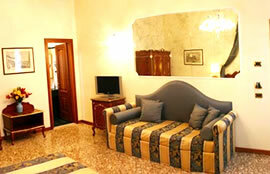 Nowadays the hotel still attracts many guests and passerbies from Russia, seeking the lands of their beloved poet. “Villa Maravege” hosted the Russian embassy between 1783 and 1797, during the last years of the Serenissima Republic; after the fall of the Venetian State, the palace continued to be bond with Russia, by becoming a consulate, certainly in the period between the two world wars, but, it is said, also during XIX century. Brodsky’s poems can help us figure out what Pensione Accademia represented during war times: “In the hall, three elderly women are knitting.” The women, in fact, came here to knit socks, thus making the seventeenth-century palace a real haven and home. 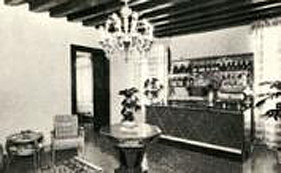 Pensione Accademia was among the first small hotels to be built in the historic town of Venice; “small” since at that time they represented the only homely alternative to the luxury Grand Hotels, typical of a touristic tradition that preceded the 1970s boom. Almost an ancestor of the current B&Bs, with all the proportions of the case due to the evolution of tourism and the types of accommodation in recent decades. The hotel soon became a destination cherished by British Lords. Pensione Accademia was honored to welcome the Dukes of Kent, Queen Elizabeth II cousins; writer Primo Levi, film directors Marcello Mastroianni and Mario Monicelli, Sir Lawrence Olivier, Tobias Owen and musician David Gilmour; not to mention other Italian famous people, albeit in different areas, such as actress and comedian Luciana Litizzetto and former Prime Minister Mario Monti. More recently, in 2018, Pensione Accademia welcomed also the King and Queen of Belgium. Some guests believe that the hotel and its terrace have been the setting of the famous movie “Summertime “ with Katherine Hepburn. Pensione Accademia and its gardens are also a cherished setting by great movie directors. The gate and the front terrace also appear in a short scene of the film “The Two Lives of Mattia Pascal” by Marcello Mastroianni; in 2016 Fondamenta Bollani and part of the courtyard hosted the shooting of Donna Leon’s TV serie “Commissario Brunetti”. 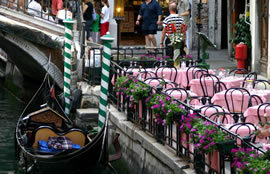 We can also enjoy an aerial shooting of villa and terrace in the movie Italian Job (2003) during the boats chasing scene. Even from the structural and architectural point of view, Pension Academy reserves many surprises. 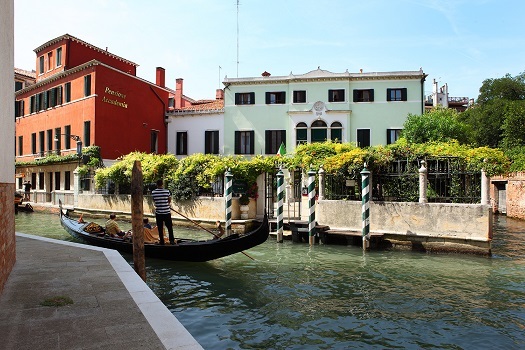 The hotel is among the few in Venice to be endowed of two flourishing gardens, one on the front, between the façade and the canal of San Trovaso, where customers can have breakfast outdoors; the one in the back, ornate with flowers and plants, where Guests can relax. The two marble columns of the current breakfast room are a historical relic: centuries ago they adorned the loggia of San Marco bell tower, built by the famous architect of the Renaissance, Sansovino. Following the collapse of the landmark of Venice in 1902, it is said that the two intact columns were bought at the auction and re-used to decorate the breakfast room of Pensione Accademia. 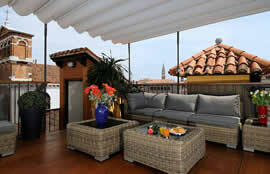 The Salmaso Family made Pensione Accademia an authentic jewel of Venice.